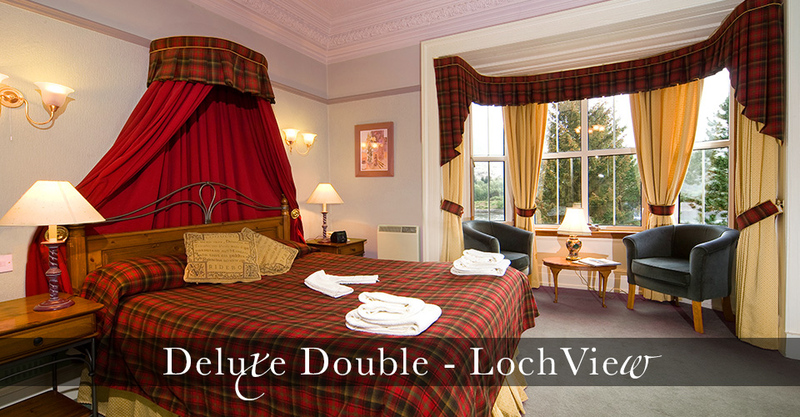 Whatever the season, the Loch Leven Hotel is the perfect place for a holiday in the Glencoe & Fort William area of the Scottish Highlands. 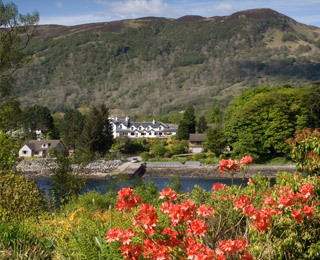 Established in the 17th Century as a coaching inn and ferry stop for the Ballachulish Ferry (when this was merely a small row boat), the Loch Leven Hotel has been modernised and upgraded to its current high standard. Irons and ironing boards are available on request. Room service available during restaurant/bar opening hours at a small tray charge. 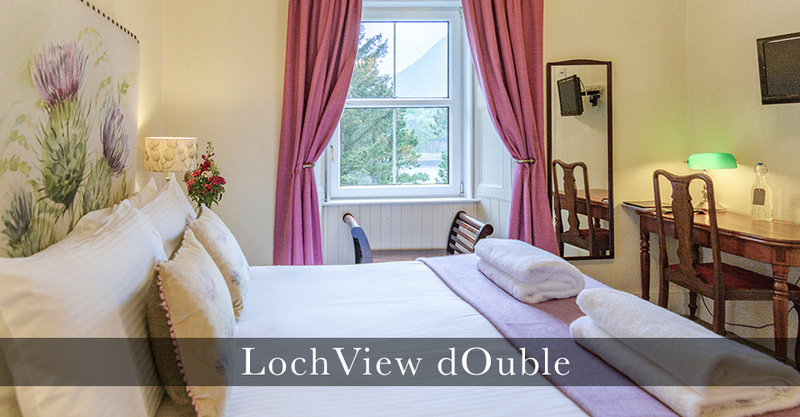 There is one accessible room (one of our Loch View Double rooms) which is located on the ground floor and has an accessible shower as well as grab rails in the bathroom. 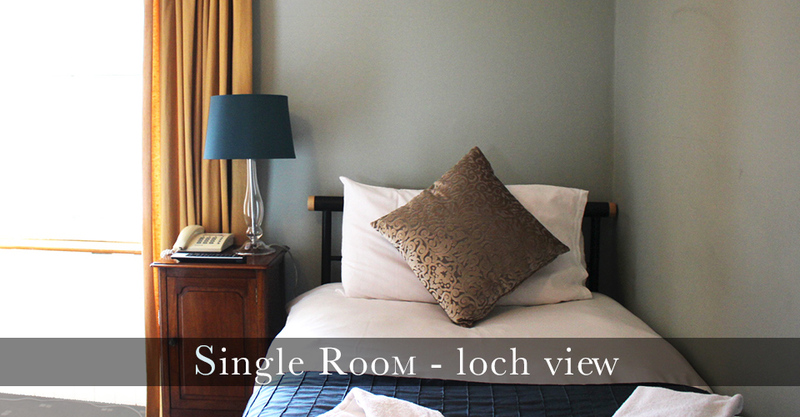 This room also enjoys beautiful views over Loch Leven and has its own private terrace. 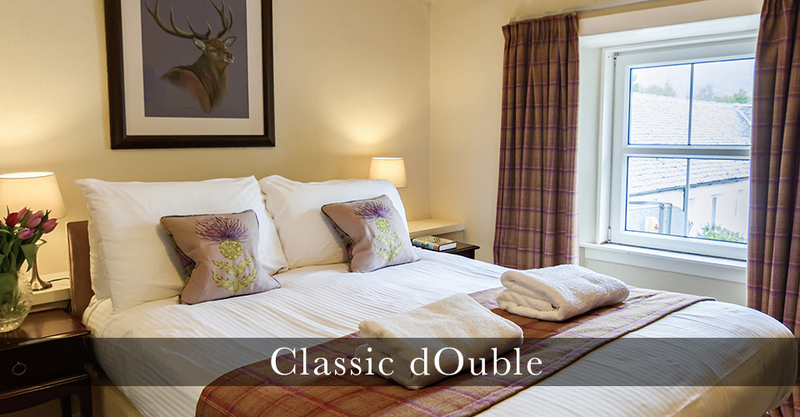 Most of our bedrooms are also dog friendly, please check availability before booking as we do keep some rooms dog-free for guests with allergies. 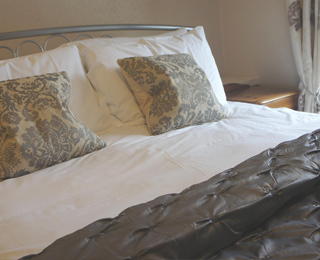 Dog supplement of £20 per room per stay will apply to facilitate a deep cleaning fee. 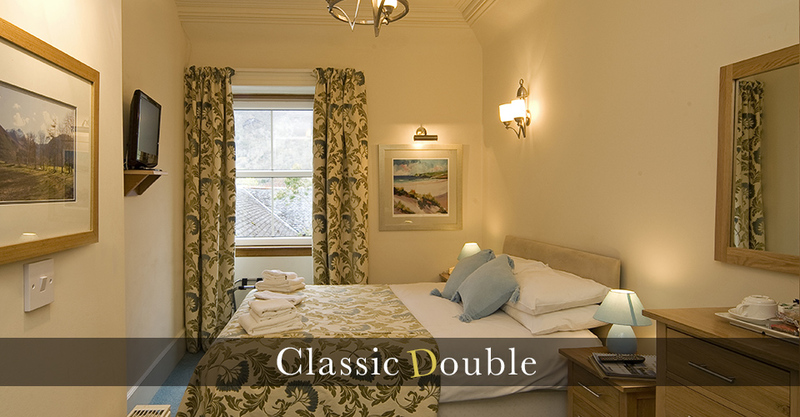 Our Annex rooms offer basic 'bunk house' style accommodation for those looking for comfort on a budget. 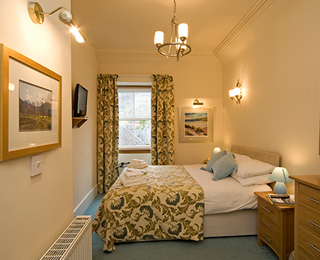 These rooms are located in an outbuilding next to the hotel, they are simple and small but are well equipped with en-suite facilities, TV's, Wi-Fi & tea/coffee making facilities. Distiller's Pods - Coming Soon! Our private and luxurious pods take the outdoors to another level! 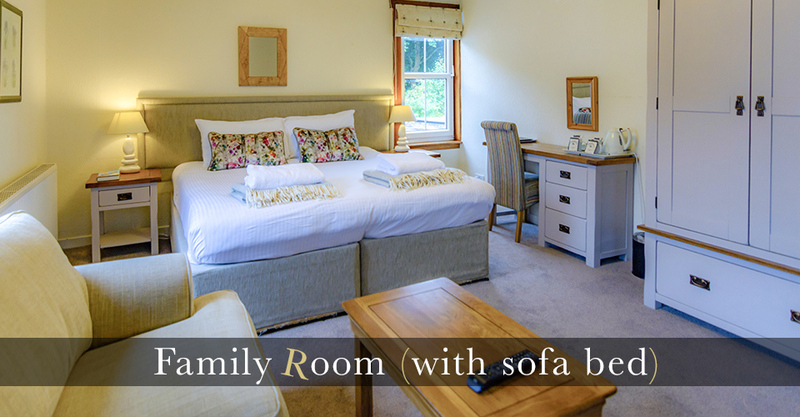 These bespoke en-suite lodges are furnished to a high standard and equipped with TV's, WiFi and bluetooth speakers, this is the ultimate luxury outdoors escape! 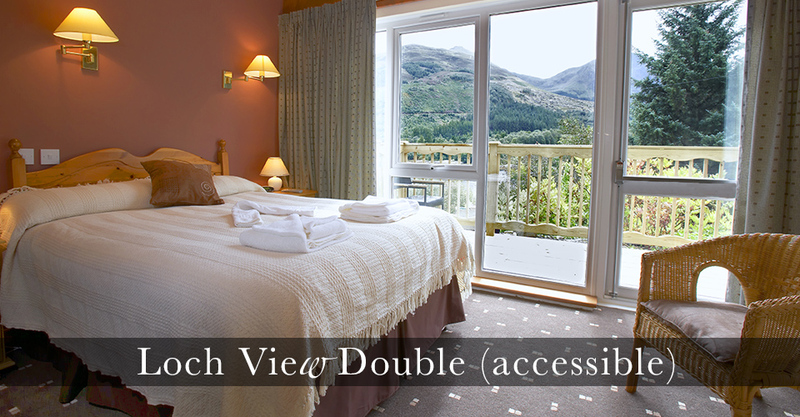 Rooms are available from 3pm on the day of your arrival until 11am on the day of departure. 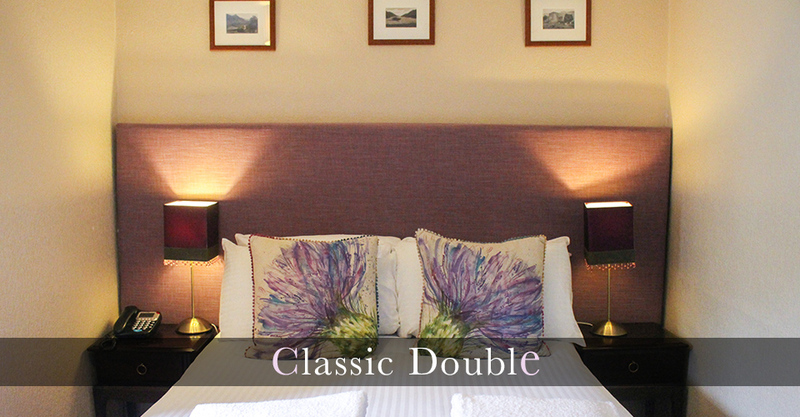 Late checkout package will allow you to have a long lie in and keep the room until 1pm, available at £20 per room. 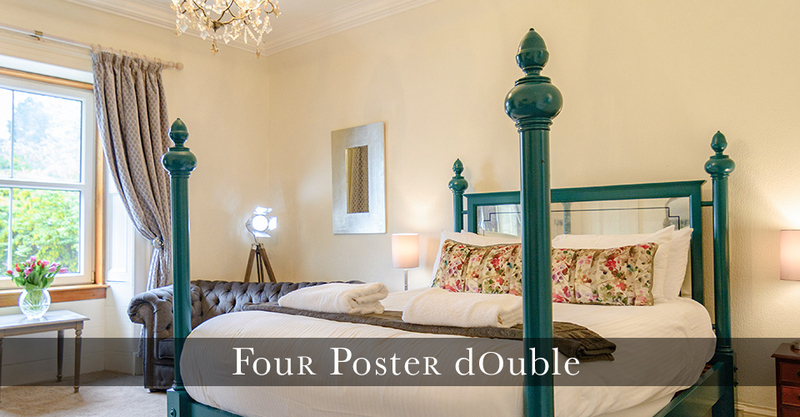 For that very special stay, why not add one (or more) of our extras such as VIP packages including dinners, flowers, champange etc.